It was less than a year after President John F. Kennedy announced the country should further develop its natural resources that the Appalachian Laboratory (AL) first opened the doors of its storefront home on U.S. Route 40 in downtown Lavale. Then called the Appalachian Research Laboratory, it was created in 1961 after years of persistent lobbying for scientific research on timber quality and fish and wildlife resources in western Maryland. “In 1955, I noticed that Maryland had a great wealth of research on [Chesapeake] Bay problems but little or no research was done in Western Maryland," wrote laboratory founder Donald Emerson in his memoirs. Citing portion of Kennedy's 1961 speech, Emerson told a LaVale newspaper, "Basic research lies at the heart of all progress." With the offices at 22 National Highway now open we can now lift our heads in anticipation of participating in the "New Frontier" of development with a new era of biological research and education [here in Western Maryland]." The first laboratory began in an old hardware store and was comprised of only four faculty members researching wildlife, freshwater fisheries, forestry, and conservation education. The storefront laboratory was one of four field research centers of the University of Maryland at College Park's Natural Resources Institute. Within three years, the laboratory expanded and moved into a former drug store down the street. 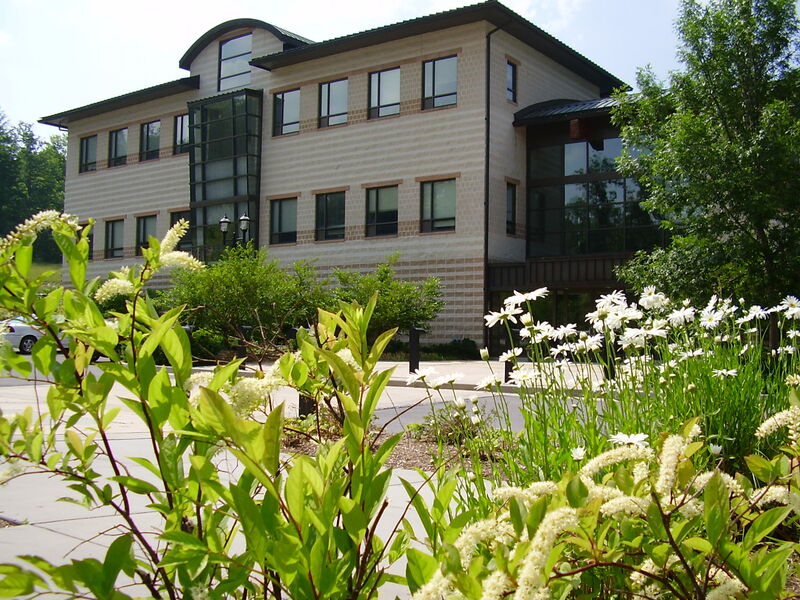 In 1973, the Natural Resources Institute disbanded and the facility, renamed the Appalachian Environmental Laboratory, grew as part of the newly-formed University of Maryland Center for Environmental and Estuarine Studies, known today as the University of Maryland Center for Environmental Science. Two years later, the laboratory - which has since dropped "Environmental" from its name - moved into Frostburg State University's Gunter Hall where it remained until 1999. On Earth Day of that year, officials dedicated the laboratory's permanent home: a $17.8 million, 47,000-square foot building and greenhouse with three floors of state-of-the-art laboratories and equipment. As AL nears its twentieth anniversary in the "new building on Braddock Road," renovations to existing lab space have allowed for the introduction of more modern research equipment and facilities, including the Central Appalachian Stable Isotope Facility. Apart from fulfilling its original task of surveying Western Maryland's natural resources, AL remains a vital research component for understanding the Chesapeake Bay Watershed and is part of one of the world's leading coastal research institutions. Today AL is home to more than 45 faculty, research associates, graduate students, staff and post-doctoral fellows, and is part of the University of Maryland Center for Environmental Science. Its scientists continue to advise national and state leaders on air and water quality, wildlife management, and land conservation while also training and engaging tomorrow’s researchers and environmental stewards through advanced degree offerings, citizen science initiatives, and K-12 curriculum development.